James Fallows is a national correspondent for The Atlantic and has written for the magazine since the late 1970s. He has reported extensively from outside the United States and once worked as President Carter’s chief speechwriter. His latest book is China Airborne. 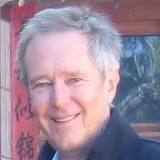 James Fallows is based in Washington as a national correspondent for The Atlantic. He has worked for the magazine for over 30 years and in that time has also lived in Seattle, Berkeley, Austin, Tokyo, Kuala Lumpur, Shanghai, and Beijing. He was raised in Redlands, California, received his undergraduate degree in American history and literature from Harvard, and received a graduate degree in economics from Oxford as a Rhodes scholar. In addition to working for The Atlantic, he has spent two years as chief White House speechwriter for Jimmy Carter, two years as the editor of US News & World Report, and six months as a program designer at Microsoft. He is an instrument-rated private pilot. He is also now the chair in U.S. media at the U.S. Studies Centre at the University of Sydney, in Australia.